These days you’ll find that Scrapbooking and Rubber Stamping have become very popular hobbies. If you aren’t doing it, chances are you know someone who is – and they’re bound to get you hooked on it. I was able to resist it for a couple of years, but much to my husband’s dismay it didn’t last. (Those supplies can be expensive, you know!). 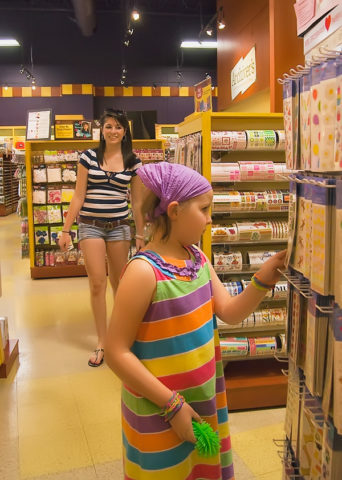 While traveling out of town, I love to find new scrapbook and stamp supply stores. Each one is different and I leave with new ideas and inspiration… and a lighter pocketbook. In an effort to help you find scrapbook stores that you may not have found, I wanted to share my favorite places in the area to get my “fix”. Don’t forget to check for the latest coupons! You can even find rubber stamps supplies and scrapbooking supplies at places like Target, Walmart, and even Walgreens these days! Most of the “specialty stores” also offer hands-on classes and crop times. If one of these stores is near you, visit them to check their calendars. Chances are you’ll find a class you want to attend! If you have a favorite place, post a comment here and share it with the rest of us.